The Australian High Commissioner is in contact with the owners of Australia Hall over possible uses for the site, having called for the dilapidated historical building to be restored for the benefit of the community. 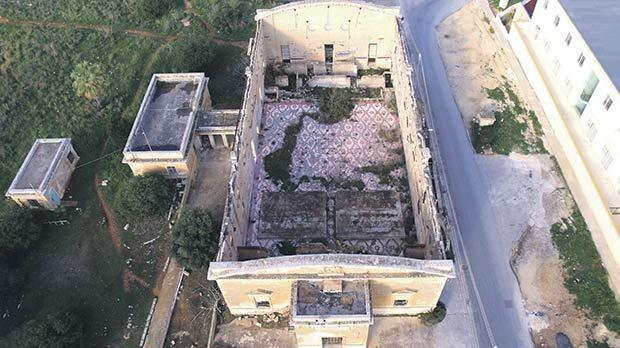 “The private owners have been very helpful in keeping me in-formed as they develop their plans,” Jane Lambert told the Times of Malta yesterday regarding the 100-year-old building, currently at the centre of political controversy. The High Commissioner, however, refused to give her opinion on the possibility of the site being developed in a manner that excluded access to the public, insisting that any comment would be “just speculation”. Ms Lambert also declined to comment on whether the Australian government would be willing to step in financially to support the restoration of the building. According to Australian media, the country’s government has made it clear it would like to have the building restored as a meeting or conference centre, serving as a continuing memorial to the thousands of Australian and New Zealand troops who have used the hall, but is yet to commit to any financial involvement. The High Commissioner’s cautious tone came ahead of a hearing this week on the Labour Party’s legal efforts to avoid paying tax on the controversial transfer of the building in 2014. The PL declared the value of the property to be just €582,343, but an architect commissioned by the Commissioner of Inland Revenue had originally valued it at €5.5 million. Tax due on the sale of the site, measuring over 6,000 square metres, had already been slashed to €14,426 from an estimated €49,176 by the Inland Revenue Department after the original valuation was reduced to €2 million. The PL is arguing in an appeal filed before an administrative tribunal that the party is, in fact, exempt from paying tax. The party has consistently objected to the department’s valuations, arguing the property was worth less because it had been subject to a promise of sale and judicial proceedings, as well as restrictions on development and a political attack. Australia Hall was built in 1915 as a soldiers’ recreation centre and a monument to the wounded Australian and New Zealand Army Corps (Anzac) troops who were nursed in Malta. The hall became the property of the Maltese government in 1978 and was later acquired by the Labour Party. It was gutted by fire shortly afterwards and has remained in a dilapidated state ever since.